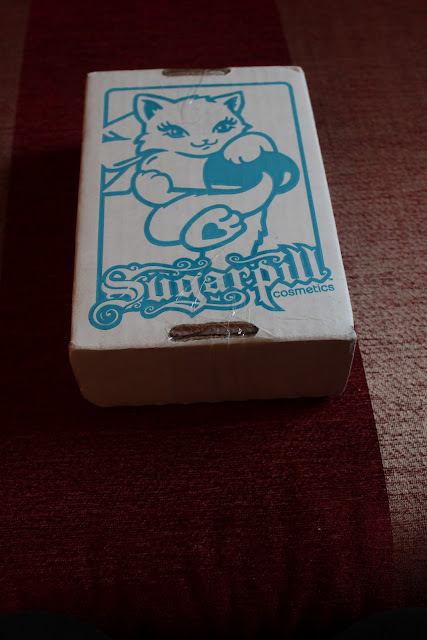 My order came packaged in this cute little Sugarpill printed box, I had no idea when I made my order what the packaging would be like so I was so excited when this came threw the post! 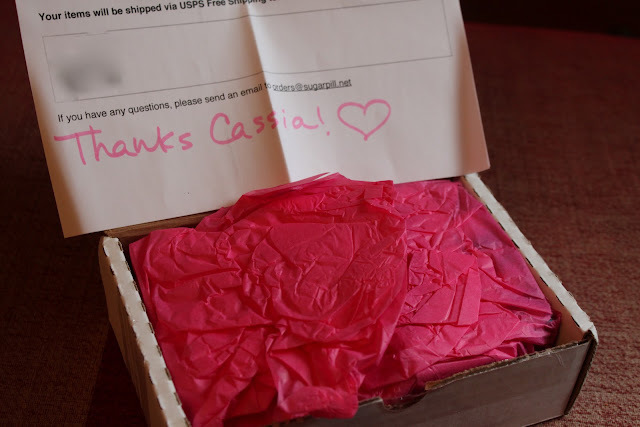 Inside everything is wrapped in pink tissue paper and had my invoice and a hand written thank you, I always love when people do that, it's such a nice touch! 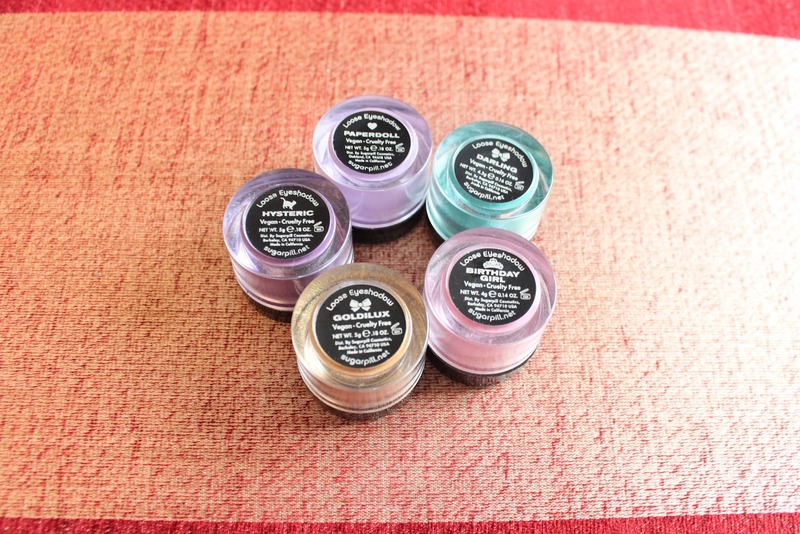 I ordered 5 loose eyeshadows, 2 sets of lashes, 1 Duo lash glue and 1 kitty sticker. All orders actually come with a big Sugarpill sticker for free! 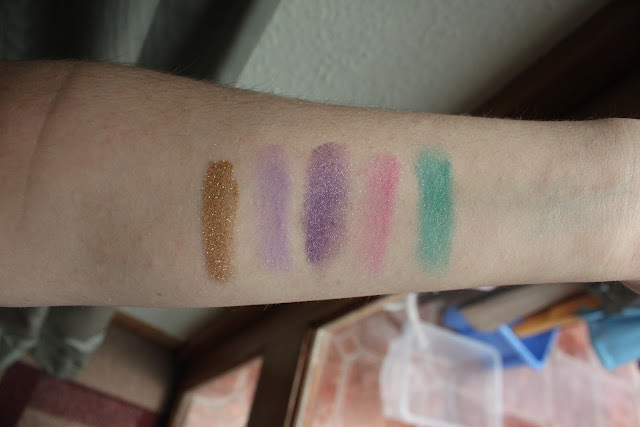 I will only be showing you the eyeshadows in this post as I've not actually used the lashes (I tend to buy them on a whim and then never ever wear them) But they are only $5 so they're not too expensive at all. 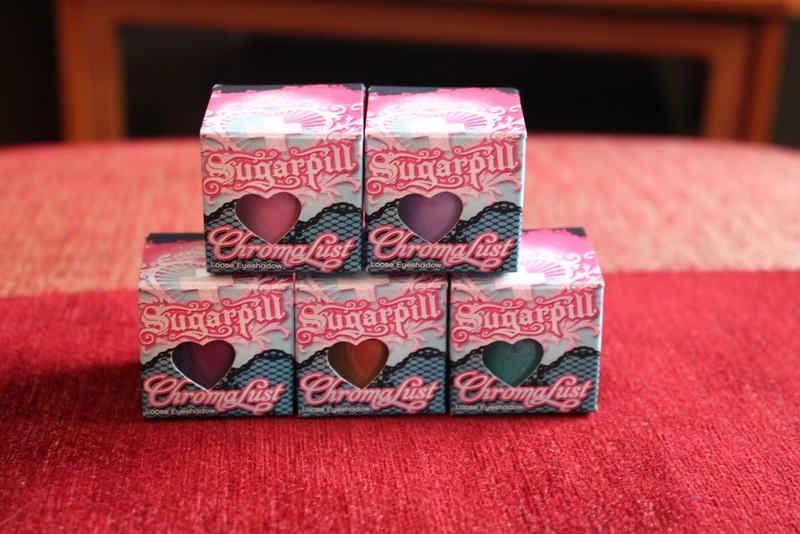 The shadows come boxed in these beautiful Sugarpill boxes. On the bottom has stickers with the name of the colour, ingredients and other important details on. 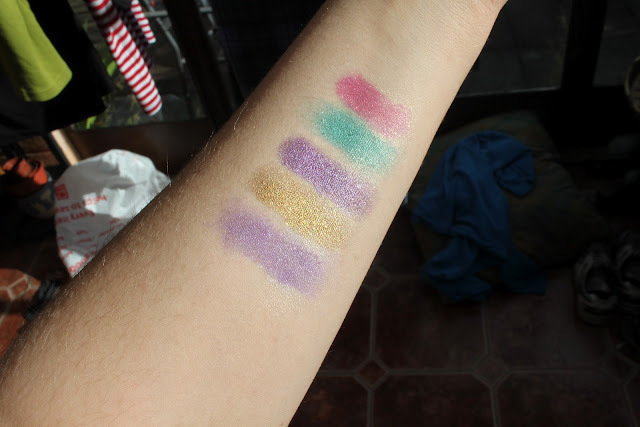 I love that each colour has it's own icon (Dingbat!) and the fact that they are vegan and cruelty free is wonderful. 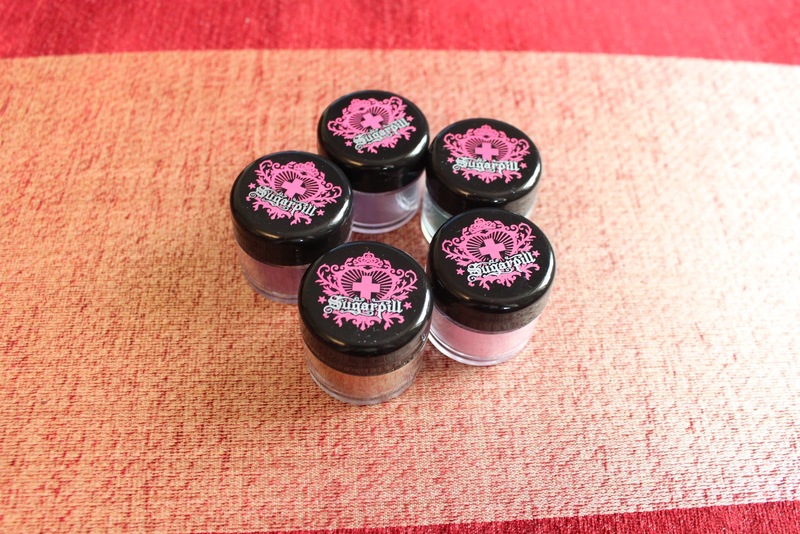 The eyeshadows come in cylinder pots, they're clear so you can see the product and have black tops with the Sugarpill logo printed on the top. The logo isn't a transfer so they're not going to get scratched off. On the bottom again has a sticker with shadow names and important information! 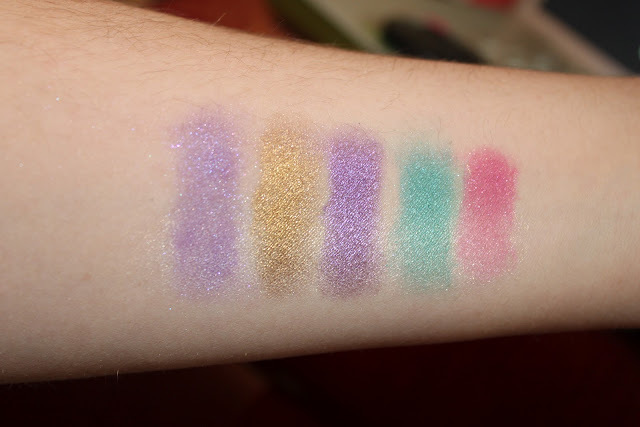 And finally I uploaded a video to really show the sparkle of the shadows! They all have a gorgeous glitter / shimmer to them which look incredible in sunlight. Pricing: Each shadow is priced at $12 each, which considering you get 5grams it's incredible for the price. Which is what I did, so I managed to get everything I wanted with free shipping! Communication / Shipping: The communication was good, I didn't have much of it (as it wasn't needed) but what I did was good, I was sent email updates when my order status had changed. My parcel arrived around 1-2 weeks after I made my order which is neither bad nor good. Product Quality: The shadows them self are spectacular, they are very pigmented which means you need a lot less product to get a good colour pay off. The shadows are made even more wonderful when using an eyeshadow primer or applying them wet. My favourite is Darling because it's such a beautifully unique colour! Overall: I would give them 5 out of 5. 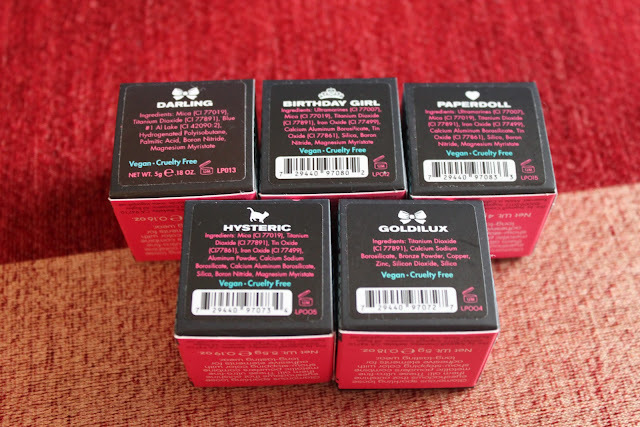 The products are amazing, the postage was no worse then any other package I have received from the US, It's usually down to the postal service. The dispatch time was very good though! 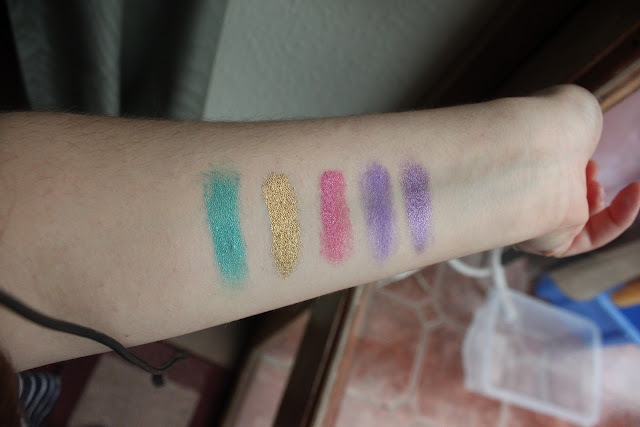 I already have another 10+ items I want to order when I have the money (I actually want every eye product they sell anyway but that may take a while!) I also really love that they're cruelty free and vegan friendly. I think in this day and age there really is no excuse for testing on animals!